best determined by the specific application. with a 12 amp dusk to dawn output for lighting. 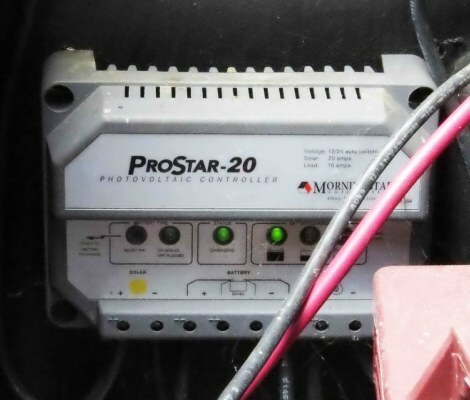 Controller can be set for either a 12 or 24 volt battery/load system. The diodes are above the controller, just outside of the picture. This runs all of our security lighting up front. it is needed most and isolates the batteries. 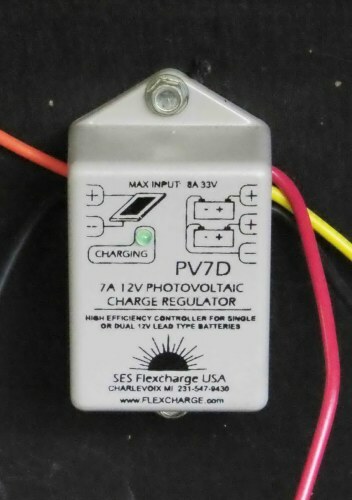 These are the earliest kinds of pv charge controllers. pre-set point, it disconnects the pv modules. When the battery voltage settles down it reconnects the modules. Widely used today for many applications. These are very gentle on the batteries, usually requiring less replacement water. Very efficient - no cooling fins required to draw heat out of the unit. time such as pv modules and a wind or hydro generator. controller will charge them, unlike some PWM charge controllers. Can not perform sustained high voltage equalization charges. and push button control in upper right hand corner. arrays - each having its own controller. 12 or 24 volt, this one is on a 12 volt system. Has a 16 amp low voltage disconnect load output. 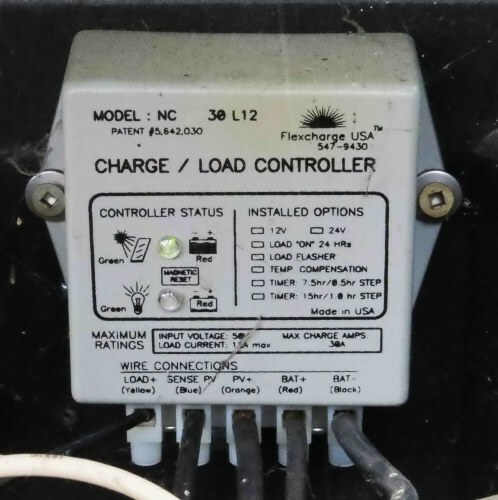 12 volt / 20 amp and low voltage load disconnect output. 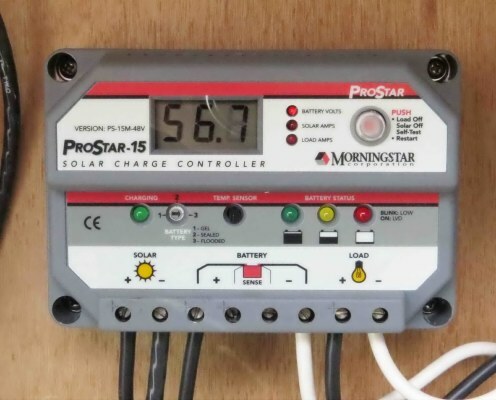 Morningstar TriStar - 60 photovoltaic charge controller. batteries in high voltage spikes. to a low state of charge. the type of the batteries in the system. generated internally - this is power that does not reach the batteries. usually lose more water than other types of charge controllers. 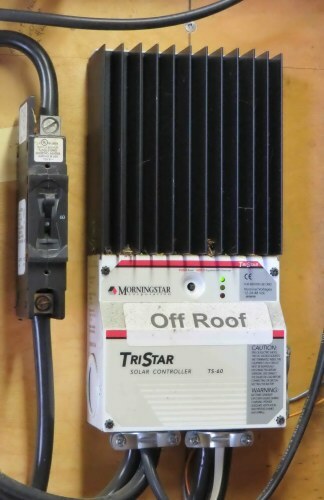 unit into an on/off controller if it nterferes with other equipment . batteries regardless of how much is available from the pv modules. controllers can be rough on the batteries. - yes, I am repeating myself. 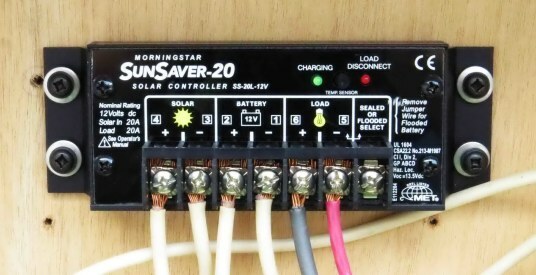 requires that the battery be connected before the panels are connected. These controllers require a battery voltage to start their functions. week from a customer who did not read the instructions and said the controller did not work. applications these will do the job when nothing else will work. it to operate at a higher voltage than the other kinds of charge controllers. 20 to 22 volts and a maximum power voltage of around 17 to 18.5 volts. down to around 14 volts. This can allow the panel to output near or at the rated wattage. to the battery system charging voltage. the voltage down to charge the batteries. In this application no other type of controller will work. These are usually much gentler on the batteries than the PWM type controllers. odd ball voltages. This allows these panels to be used for charging batteries. the controller may output little or no power to the batteries. 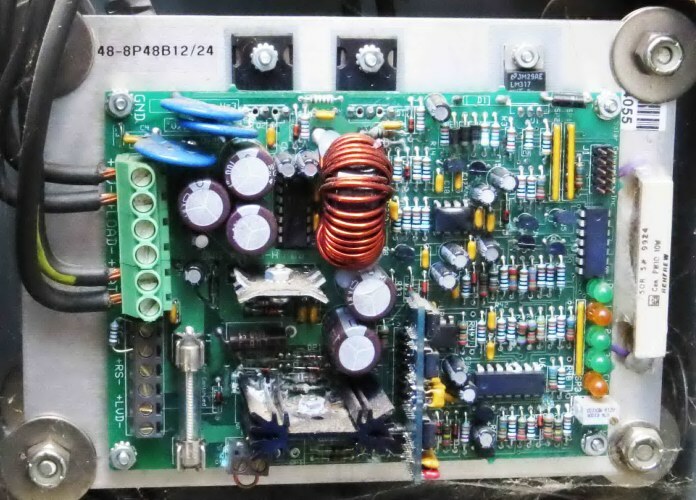 power voltage that the controller is looking for. It will search for the sweet spot but not find it until the sunlight increases. batteries when an MPPT controller can not.